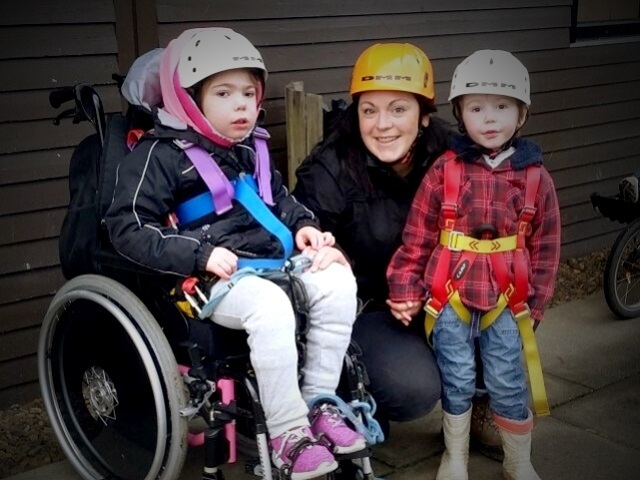 Madhouse blogger L-J brought her family to stay at Calvert Trust Kielder for a holiday through Charlie House charity. L-J has written about the laugther, trials and tribulations of her stay. Here is just one story but you can read the rest on her Blog. A Day for Zipwiring! This is the activity that seems to be everyone's favourite. Maybe it's because we never grow out of loving the thrill of it. 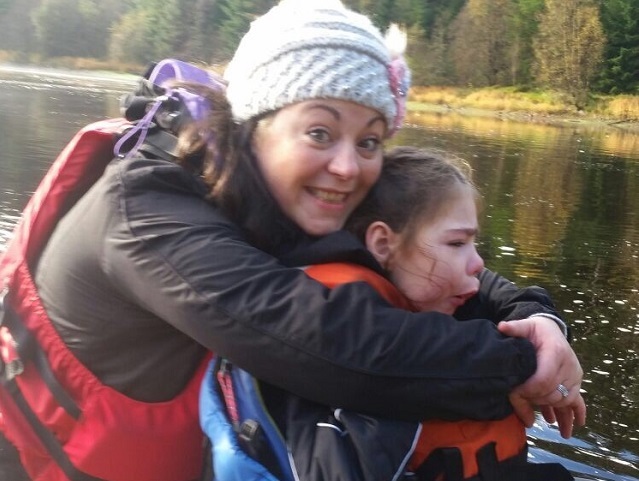 For the parents of disabled children I know it's a hugely emotional experience especially the first time, not because you are scared for them but because you never dreamed you would ever see your child do something like this. This was Miss A at the age of 4 trying out the Zipwire for the first time. I couldn't hold back in my tears, back then she was fearless and if I remember correctly she went first. She was beaming at the bottom and over the moon with what she had just done. She likes to go down with an adult now that she is a bit older but she loves the experience not least of all because she is doing what everyone else is. As a parent you have a yearning to share the best experiences from your childhood with your children. 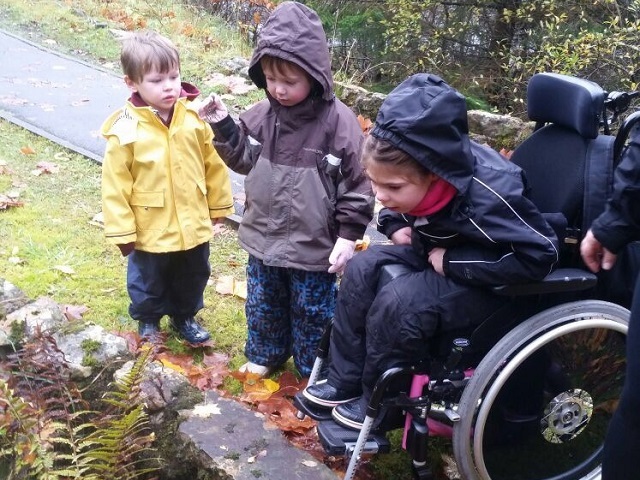 When you have a child with a disability, sometimes you have to accept the fact that is just not possible. We don't really ever like that to happen so if we can't all do it together we tend not to do it at all, meaning I didn't think I would be able to take my family on an activity holiday. 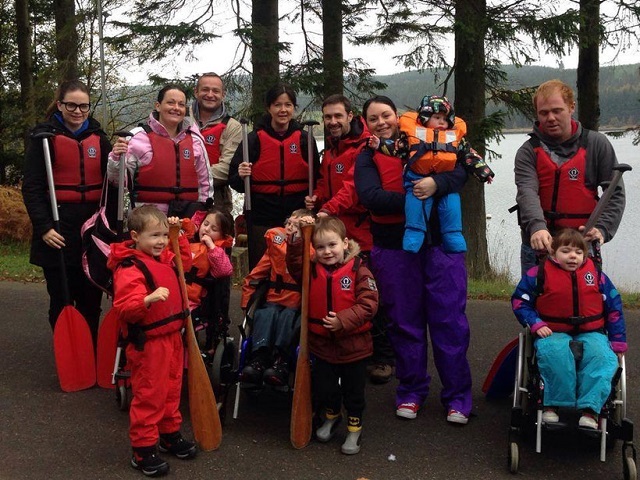 Calvert Trust Kielder is a really special place. It's full of fun and excitement but it's really safe and relaxed at the same time. I mean you wouldn't imagine that in this day and age of Health and safety you would ever be allowed to just hoist a wheel chair to the top of a tower and fling a kid who can't walk down a really long zipwire over a river but YOU CAN and it's totally safe. I've never worried about safety when there, mainly because the staff are amazing. Now amazing is an over used word, I use it all the time but these guys really really are AMAZING. They are always calm, always friendly and ready to join in a joke. They are gentle, respectful, professional and thoughtful; they are flipping fan freekin tastic! With loads of activities to try that everyone can join in it's just ideal. It's no secret that Miss A doesn't travel well, she thrives on routine and familiarity but with this place being so accessible for her and comfortable my hope is that as the years go by she will become more and more comfortable here and eventually partake in the independent holidays one day with her friends. I love meeting other families although there is never much time to chat because it's such a jam packed holiday! I also really enjoy meeting the residents, chatting to adults with disabilities and watching them enjoy themselves and be independent makes me far less scared for our daughter's future. I also think its really important for Miss A to see adults with a disability like her, its not something that she bumps into very often but she met a man in a power chair like hers and asked him to peep his horn. She was utterly delighted, I love that she gets to see role models she can relate to. So the beauty of this place goes far beyond just the activities and scenery in my mind. 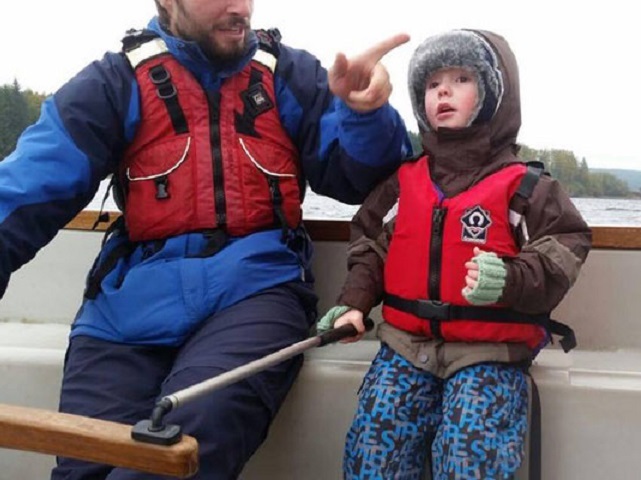 This picture was taken on our first Kielder Trip, the dude was 1 the day we arrived had only just learned to toddle and during boating activities I put him down on the floor of the boat for a nap. We have always managed to go at the same time as these families which makes it a little bit extra special. This first trip felt life changing for us. 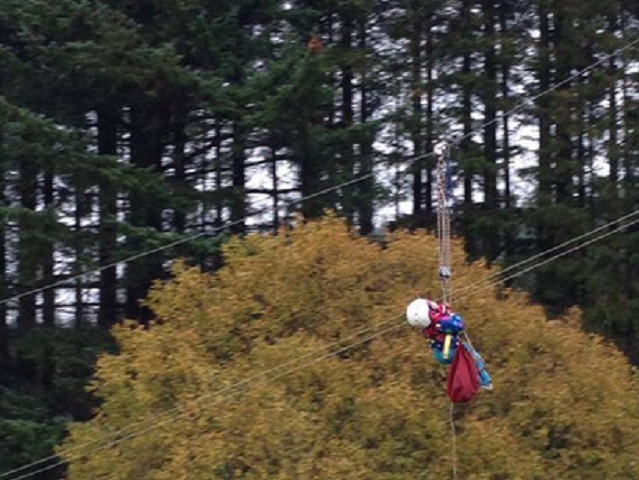 This year, the dude absolutely LOVED his zipwire experience and said it was the best part of the holiday! Natalie and her colleagues looked after us all including catching eager little boys who weren't so willing to wait their turn! During the wait for turns I noticed that The dude and his sister were chatting to each other and cuddling I heard him say to her 'I really like you' this is his way of saying, 'I love you' it's what he says to me and his dad. He never says love but he will kiss our faces and tell us that he 'just can't stop liking you!' I have never heard him say that to his sister before and it made my day. They had a cuddle and she pulled his hair, normality was resumed but just for that second it was beautiful!